WHILE SETTING SAN ANTONIO (AND BEYOND!) ABLAZE, ALT POP/PUNK POWERHOUSE FINDING SEPTEMBER INFUSES THEIR DEBUT EP ‘HISTORY’ WITH A MIX OF LIGHTHEARTED FUN (“SUMMER CLUB”) AND DARK, INTENSE THEMES. The latest Video / Track “”Let It Burn”, released by the up and rocking young band from Texas known as Finding September is a solid High Energy anthem of the inner hearts of today’s youth, looking for reason and wrapped in self-examination. This group that seethes with talent cut their teeth in the clubs of their local scene and now takes their brand of music to the masses in a pivotal release that is sure to gather the masses to their stage. 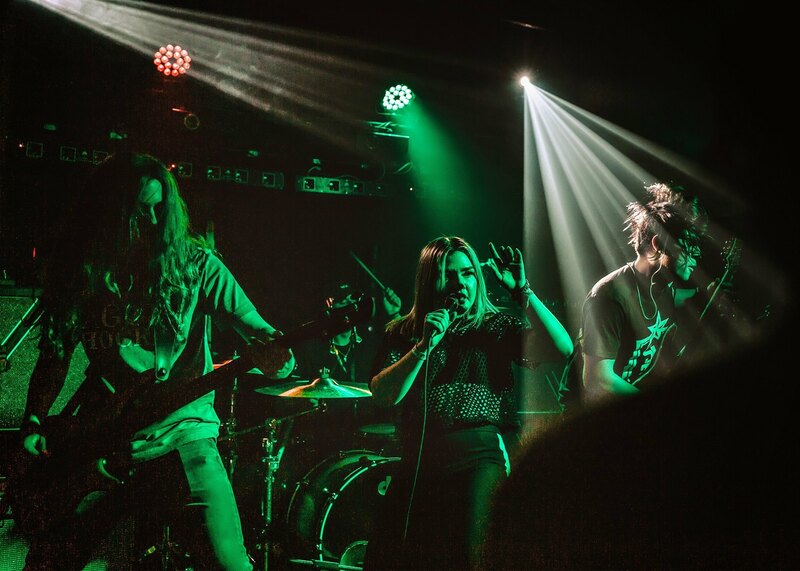 Taking cue and lead from fem fronted bands like No Doubt and September Mourning, the band shows the power of the female lead, yet do not look to make it a gimmick, make no mistake, vocalist Emily Bayardo’s voice packs a punch that hits home. You can catch Emily’s charismatic wildness and the visceral intensity of Jayden Mermella (drums), Josh Gomez (guitar) and Graham Butler (bass) via their YouTube video for “Let It Burn” (shown above) – one of the heavier-themed tracks on their recently released critically acclaimed debut EP “History“.